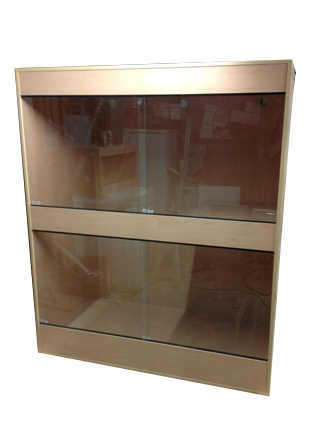 4ft L x 6ft H x 2ft D Reptile Vivarium. 18mm MFC Board. 4mm Toughened Glass. There is a 35-large-product delivery fee for this item. Four panes of glass with a support across the middle for stability. Available in Ten Colours : Text white, Hacienda White, Maple, Beech, Light Oak, Medium Oak, Black Walnut, Wenge, Hacienda black and Text Black. 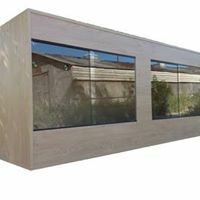 We recommend sealing all Vivarium’s with aquatic grade silicone, as although all our vivarium’s are moisture resistant due to the coating on the boards (melamine), they are not waterproof or water tight (see terms and conditions). 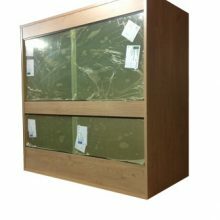 All our Vivarium’s are made to order so can take up to six weeks. We deliver this size ourselves on nationwide delivery runs so we will always contact you first before organising any delivery. We deliver this size ourselves so do have some restrictions on delivery areas (Scotland, Highlands etc) So please contact us first to ensure delivery is possible (see shipping terms). Delivery is to your front (ground floor only) door of the building, we will not help carry up any stairs or lifts unless agreed first before delivery. If you wish to purchase a size not on our website then please contact us, we manufacture everything to order so we can build to any size. Categories: 4ft Vivariums, BIG VIVARIUMS. This size comes with two glass sliding doors. We provide a support to go behind the glass for extra stability. There is a £30 Large Product delivery fee for this item. There is a £18 Large Product delivery fee for this item. We are a family run business who specialise in Reptile housing and Aquatic Furniture. Southdown Aquatics, 39 Grove road, Worthing, West Sussex, BN14 9DQ.